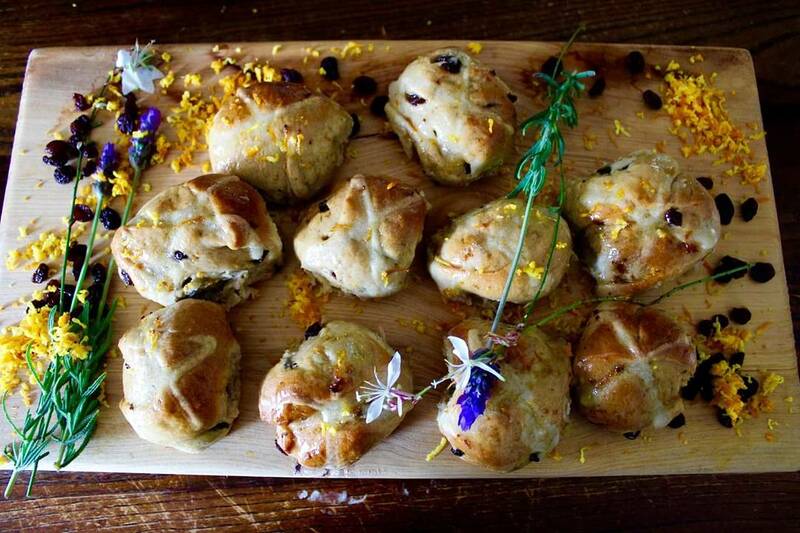 It’s Easter time and the stores are full of fresh, sticky, spicy Hot Cross Buns, so we thought we’d find a recipe that those following a plant-based lifestyle can enjoy too. Courtesy of Michaela Leach from Health Alignment. This simple recipe is one that everyone can enjoy. 6Mix the mixture until a dough is formed that you can then place on a flour powdered work surface and knead the dough for 5-10 minutes. Once the dough is smooth and has a shine to it, transfer the dough into a mixing bowl and use the 1 tablespoon of olive oil to coat the top of the dough. 7Cover the bowl with a dish towel and place in a warm place. I usually put the tumble dryer on and let the bin heat up, turn it off and then place the covered bowel inside to slowly rise in a warm draft free area. Leave the dough to rise for about an hour until the dough has doubled in size. 8Once the dough has risen the right amount, empty it out onto the work surface and press out the air bubbles. 9Roll the dough out into a long fat roll and cut in evenly into 16 parts. 10Place the 16 equal balls into a well oiled baking tray so that they just make contact with each other. 11Lightly coat with a little bit of olive oil. Cover the tray with cling wrap or tin foil and leave to rise for about 30 minutes. 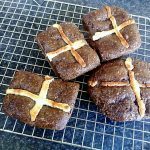 12To Make the X on the hot cross buns: Mix the 2 tablespoons of all purpose flour and 3 tablespoons of water in a small bowl until it is a gluey consistency. 13Put the gluey mixture into a piping bag or just a ziplock bag and cut a small snip in the corner. Pipe the X's across the buns once they have finished rising. 14Place the buns into the oven and cook for 15-20 minutes until the top is golden brown. 15To make the glaze just mix 1 tablespoon of your favorite jam and 1 tablespoon of hot water until smooth. 16Once the buns are cooked coat them with the jam glaze and allow to cool before serving. 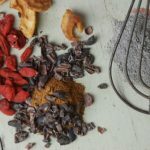 This recipe has been supplied by Health Alignment - an online platform that provides access to healthy plant-based recipes, as well as other key aspects of living a healthy, well-balanced life. Helping you live a happier, healthier life!